Most MLB teams have held their photo days, and a few gems have emerged. 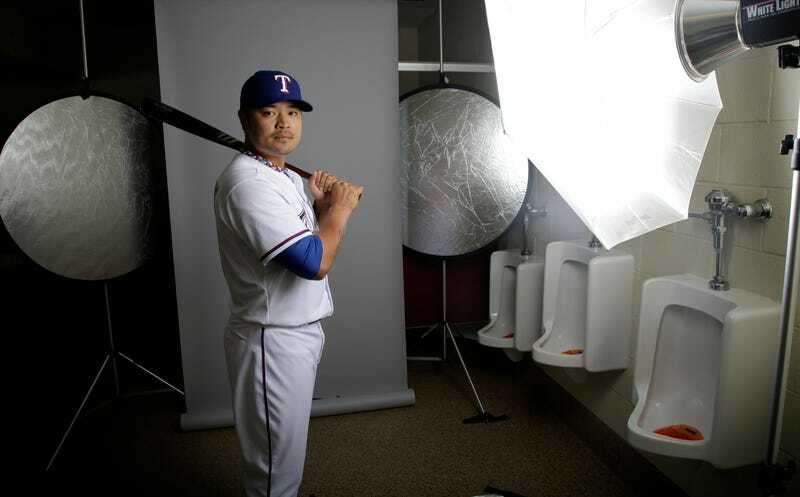 But really, the true story each year is which team will be forced to get their photos taken in the bathroom. Congratulations, Texas Rangers! This is Astros bullpen coach Craig Bjornson. He already has your soul. The fixtures don't make it into the official versions of these photos, but rest assured. There's almost always something fun happening just out of frame.